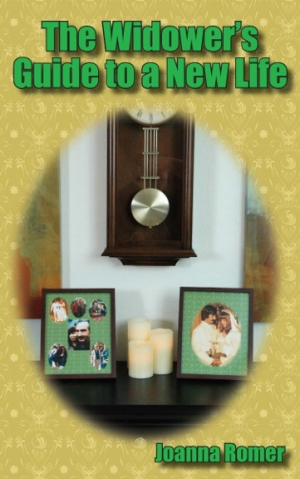 This guide contains personal, practical, and direct inspiration for grieving men. The loss of a loved one is a unique and personal experience, and it’s easy to feel isolated and lost in response. But even though every individual experiences loss differently, there are overall commonalities to loss itself. In The Widower’s Guide to a New Life, Joanna Romer discusses those shared experiences and offers concrete methods for moving through the pain and confusion. Romer is a widow herself and has written on the woman’s perspective in her first book, Widow: A Survival Guide for the First Year. In The Widower’s Guide, she presents advice and experience for grieving men. The book is logical and clear, structured with a mix of advice and personal accounts in each chapter, progressing from one general topic to another, such as prayer, loneliness, dating again, and understanding Kübler-Ross’s stages of grief. Romer draws from the experiences of ten widowers. Some of the men grieve decades-long relationships, others much shorter ones. Some of the widowers are old and others are rather young, with many in between. The scope of experience provides an overall view of what is common in grief and what is useful in recovery. The Widower’s Guide moves occasionally in a religious direction, emphasizing the need for prayer and connection to God. While this would certainly comfort some readers, it may bother others. In most other instances, Romer is down-to-earth, and the shift to the spiritual may not always be welcome. Still, it’s infrequent enough that the secular reader should not be too put off, and the religious reader will likely appreciate the reminders of faith. The message of The Widower’s Guide is found in giving the widower permission to keep living. There’s nothing wrong with dating soon after, if that’s what your heart needs, Romer says. At the same time, there’s nothing wrong with needing and enjoying solitude (though solitude is distinct from loneliness, as the author certainly doesn’t advocate loneliness). The widower often needs direction, and The Widower’s Guide is all about empowering the grieving with the hope and practical means to find a new life.